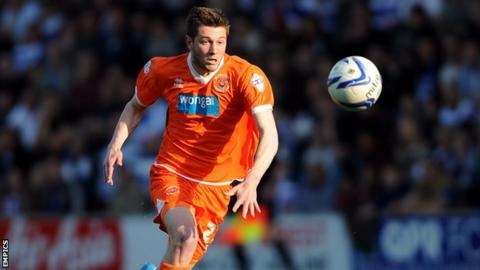 Blackpool have taken up the one-year option on winger Tom Barkhuizen's contract with the Seasiders. The 20-year-old made 15 appearances in 2013-14, scoring two goals. "Being a local lad, I'm really happy to stay and hopefully I can build on the games I've played this season," Barkhuizen told the club website. Barkhuizen previously had loan spells in League Two with Hereford United and Fleetwood Town but had only played four times for Blackpool before this term.